Siphiwe Tshabalala’s move to Turkish side BB Erzurumspor has striker Bradley Grobler dreaming of a move overseas. The SuperSport United striker Bradley Grobler (aka Brockie) hopes to follow Tshabalala by moving to Europe at the age of 33. Tshabalala signed a two year deal with newly promoted side Erzurumspor from Kaizer Chiefs. “It’s never too late, and Shabba for me is a perfect example. He has proved that to everyone after leaving for overseas at his age,” Brockie was quoted by SunSport. Brockie spent half of last season on the sidelines recovering from injury. The former Goztepe FC striker has scored three goals for the side this season. 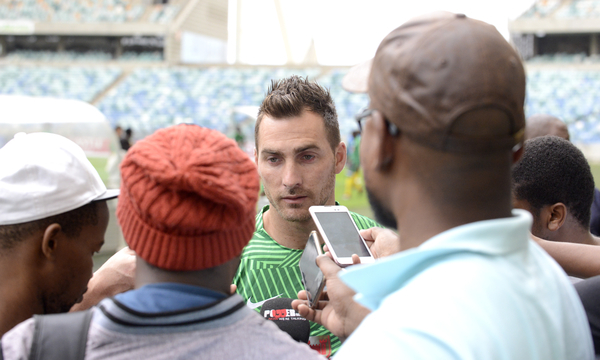 “Injuries have been a setback and major delay in my career in the past seasons,” said Grobler. “Right now, I’m happy I’m fit again and in my best feeling. My focus now is to make sure I look after myself and stay injury-free.